상파울루의 볼거리와 사운드를 즐기고 싶다면 본 숙소(스테이브리지 스위트 상파울루)는 탁월한 선택입니다. 이 곳에서 생동감 넘치는 도시의 많은 것을 최대로 즐길 수 있습니다. Brascan Open Mall, Atelier du Chocolat, 산크타 마지오레 이타잉 비비 병원 등과 같은 다양한 명소에서 투숙객들은 모험을 즐길 수 있습니다. 본 숙소(스테이브리지 스위트 상파울루)의 훌륭한 서비스와 우수한 시설이 잊을 수 없는 여행을 만들어 줍니다. 본 숙소는 최상의 편안함을 위해 Wi-Fi (무료/전 객실), Wi-Fi (공용 구역), 반려동물 동반가능, 무료 조식, 셀프 주차 등을 제공합니다. 본 숙소에서 머무는 동안 고급 객실 시설을 경험할 수 있으며, 일부 객실에 구비된 금연 등은 투숙객의 긴 하루 후 재충전에 도움을 줍니다. 본 숙소에서 피트니스센터 등을 즐길 수 있습니다. 본 숙소(스테이브리지 스위트 상파울루)는 어떤 이유로 상파울루에 방문해도 지내기에 매우 좋은 곳입니다. Please note that only guests staying in the Superior Queen Suite with Sky View and the Two-Bedroom Suite will have free access to the gym. Guests staying in the other room categories can use this facility for an extra fee. 상파울루 호텔이 대부분 가격대가 만만치 않던데 이 정도 가격이면 괜찮은 것 같습니다. 방과 거실이 TV설치벽으로 어느 정도 분리가 되어있었고 속도는 느리지만 인터넷 무료 (고속은 돈 내야함)도 쓸만했습니다. 싱크대 및 전자렌지가 있어서 음식을 해 드실 분은 해 드셔도 되고 바로 밑에 식당가 및 극장도 있습니다. 위치가 상파울루에서도 치안이 잘 된 비교적 부유층 지역이라 그런지 거리도 깨끗하고 안전해 보였습니다. 식당가가 호텔 바로 앞에 있어서 식사 해결도 편했습니다. 전반적으로 만족합니다. 다만 직원들이 많이 친절한 것 같지는 않습니다. the staybridge suits is my regular hotel in sao paulo. it is conveniently located around a nice neighbourhood with many restaurants, shops and close to other parts of the city. the rooms are great and equipped with everything you need. i also like that in terms of internet you have a free option as well as a paid one. the free internet is slower, but sufficient when you only check emails. another plus is the breakfast at floriano's on the ground floor. it features quite nice selection of food you want to see on your plate in the morning including eggs, different breads, fruits and pao de quejo. one downside is that you have to pay to get into the gym. Free internet is very slow, should have free high speed internet like most hotels. 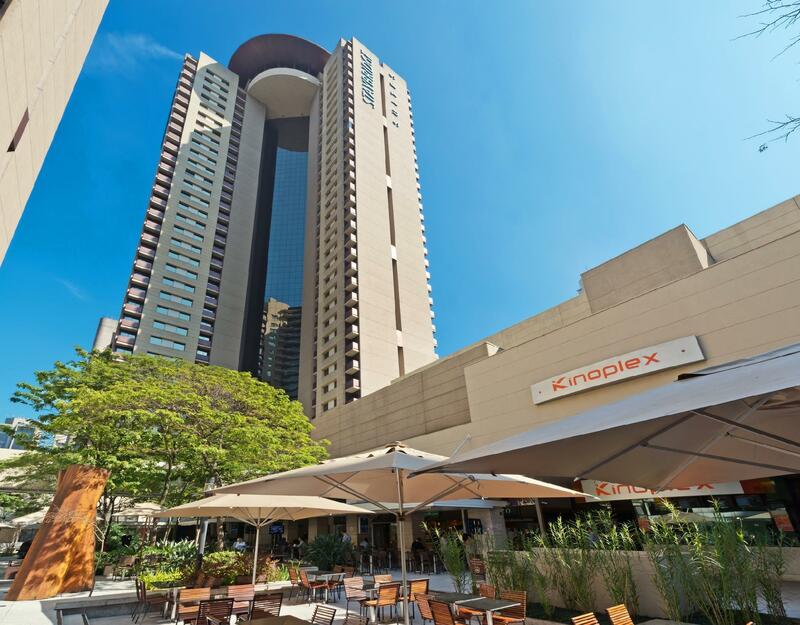 This Hotel was booked as a last minute replacement to my usual hotel in Sao Paulo. The neighborhood was great. Itaim is close to everything and very safe. Having a good restaurant, movie theatre, currency excchange with a decent rate, starbucks Coffee and a Bookstore just makes this hotel a gem if you can get a good price like I got from Agoda. The only drawback is the slow and intermittent free internet. everything else from the service to the great room was fantastic.